China has effectively banned Tibetans and other ethnic minorities from obtaining passports by using a two-tier system of applying . 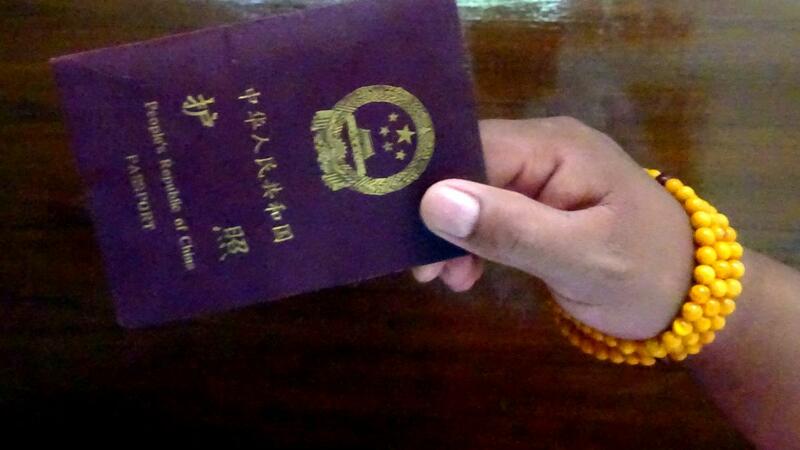 (TibetanReview.net, Jul14, 2015) – China has effectively banned Tibetans and other ethnic minorities from obtaining passports by using a two-tier system of applying for them, said a new report published Jul 13 by the New York-based rights group Human Rights Watch. The two-tier system consists of one for areas populated by the country’s ethnic Han majority and another, more cumbersome system for areas inhabited by the country’s Tibetan and Muslim minorities, the report noted. Other reports have also made the same point. In most parts of China, a passport must be issued within 15 days, and if there is a delay the authorities must notify the applicant, pointed out the AFP Jul 13. However, “if you are a religious minority who lives in a part of the country where most people are minorities, it’s virtually impossible to get a passport,” the report quoted Sophie Richardson, China director at Human Rights Watch, as saying. That is because in Tibet and Xinjiang, inhabited by 10 million Uighurs, a Turkic-speaking Muslim minority, officials use an older method for passport applications that requires more documents and sometimes political vetting, the report said. By way of example, the report said that only two passports were issued in Tibet’s Changdu prefecture, known as Chamdo in Tibetan, in 2012, even though it had a population of 650,000 people. Washington-based International Campaign for Tibet also published a report Jul 13, saying very few Tibetans in the Tibet Autonomous Region (TAR) and in many other Tibetan areas had been issued passports in the past three years, with many people having actually had their passports confiscated. In contrast, it added, more and more Chinese were travelling both abroad and freely in Tibetan areas. In the case of Tibetans, the report added, the denial of passports was accompanied by restrictions on movement in Tibetan areas linked to intensified militarization and security, particularly in areas where there had been protests or self-immolations. The report said Chinese authorities had imposed sweeping new measures in order to prevent Tibetans travelling to teachings by the Dalai Lama outside Tibet, and to punish those who do. Dharamshala-based Tibetan Centre for Human Rights and Democracy had also published a report on May 5. It said an Apr 29, 2012 ‘guiding opinions’ on implementing passport regulation issued by the Chinese authorities prevented almost all Tibetans in the TAR from travelling outside of the People’s Republic of China (PRC). It added that in 2014, further restrictions had prevented Tibetans from travelling to religious ceremonies and sacred sites.